Learn about Mexican social movements from social actors on the front lines of political change. 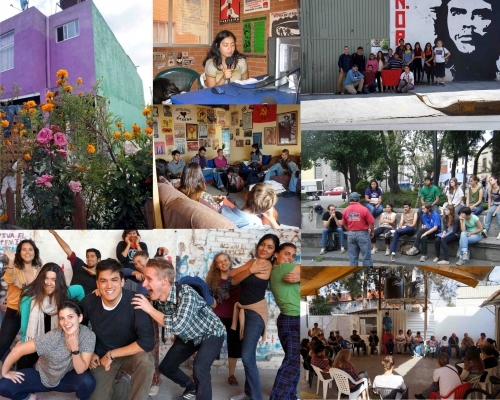 The Autonomous University of Social Movements created this unique study abroad program in 2005 to introduce students to dynamic new experiments in autonomous, community-based organizing and to build solidarity with Mexico’s most dynamic social movements. In 2011 we added the Chicago re-entry program, an innovative tool that introduces students to social movements closer to home. The lessons you learn from organized communities in Mexico and Chicago will strengthen your social justice work back home. This program offers a unique opportunity to learn the theory and practice of living social movements directly from the people building those movements. You will develop lifelong, cross-cultural alliances, new analytical tools, and dynamic organizing skills that will change your life in important ways. 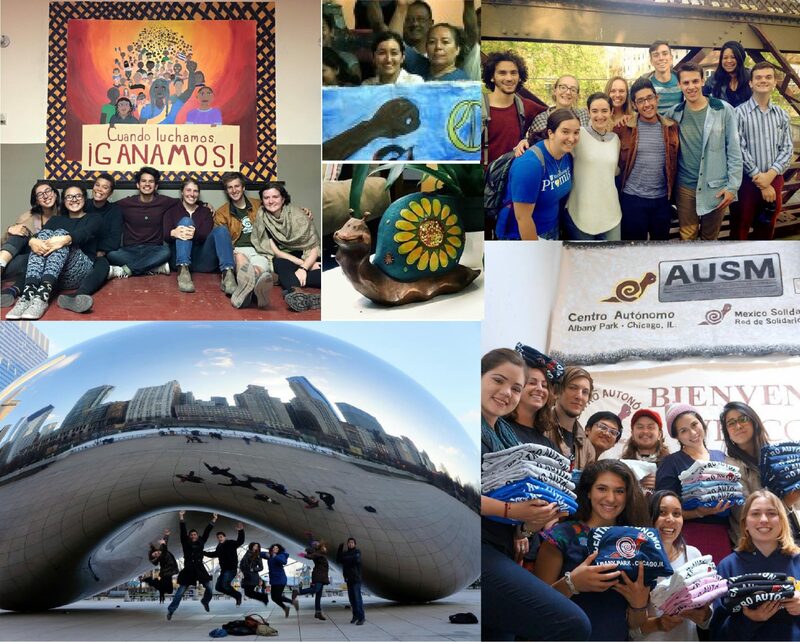 AUSM uses proceeds from the study abroad program to support our partner organizations in Mexico and also grassroots organizing at the Albany Park Autonomous Center in Chicago. On January 1st, 1994, indigenous communities in Chiapas captured the world’s attention by saying “Enough already!” They took education, healthcare and decision-making into their own hands. 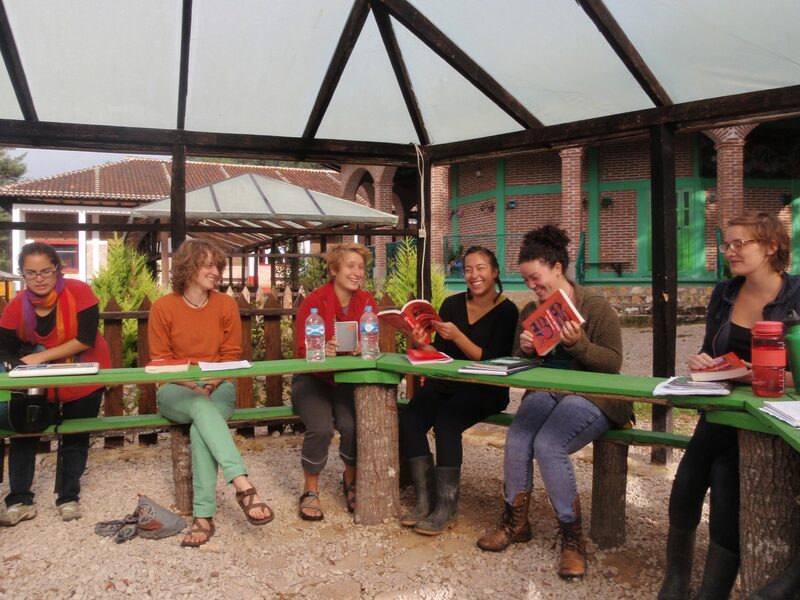 Students learn about the history and ideas behind the movement by living in Oventic (one of the Zapatista Good Government Centers), attending the language school there, and participating in theater, farming, sports, boot-making, weaving, film, and group reflection workshops. The first week in Chiapas is spent at the Universidad de la Tierra – an inspiring school for indigenous self-sufficiency. Weekends are spent in the colonial town of San Cristóbal de las Casas. Tlaxcala means the place of the corn tortilla in the Nahuatl language. It’s Mexico’s smallest state and a center of campesino agricultural production. 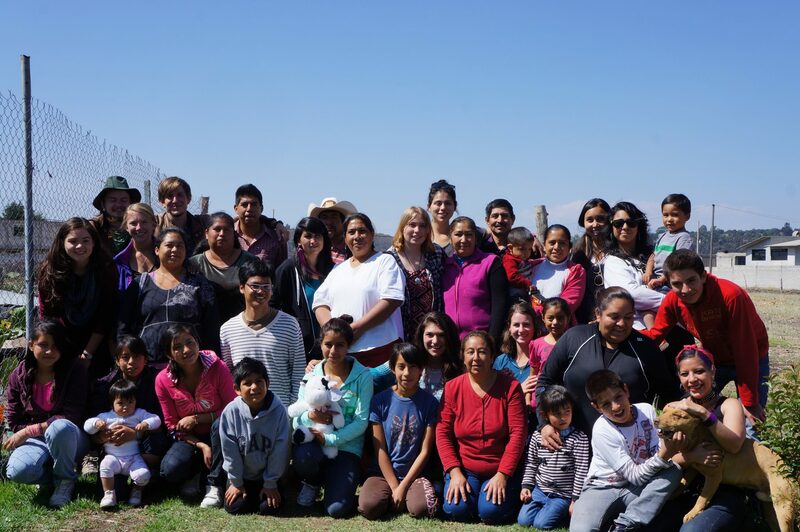 Students stay with families who are members of the National Urban and Peasant Council (CNUC in Spanish), a group born in resistance to NAFTA. These are families whose ancestors worked on Tlaxcala’s large plantations for generations and who won control of their land through the 1910 Revolution. 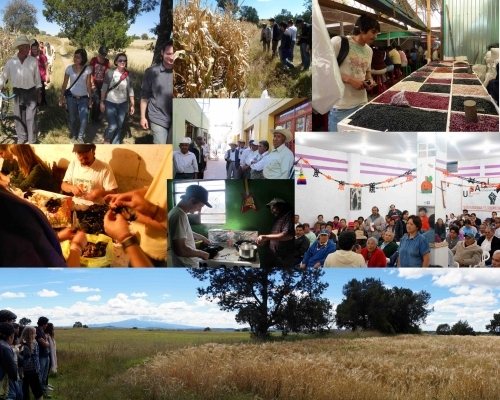 They plant and nurture Tlaxcala’s 26 varieties of native corn, cycle after cycle. They’re dignified people who are improving their agriculture, housing, health, and education without giving their loyalty to any political party. 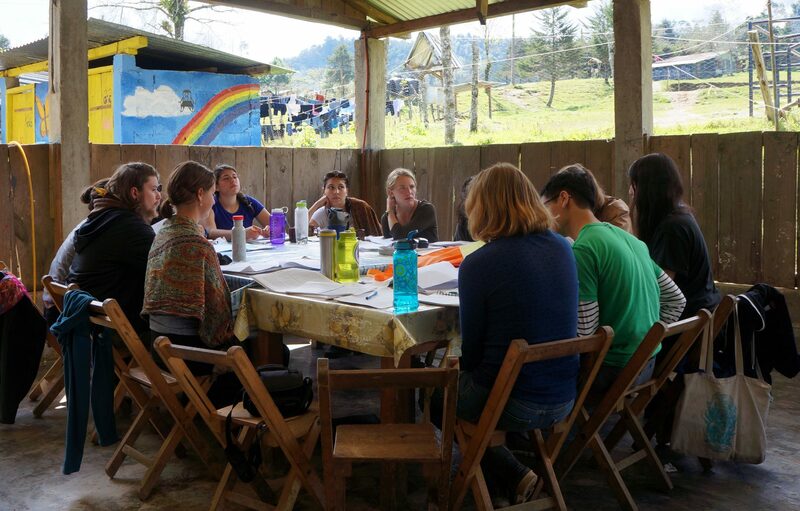 Students live with homestay families in Tlaxcala, mixing academic classes with visits to farms, mountain-top watersheds, cultural events, and community assemblies. The Tlanezi Calli housing cooperative is one of Mexico’s most impressive community-based projects. Emerging from the government’s inadequate response to the 1985 Mexico City earthquake, Tlanezi Calli organized thousands of people around access to dignified housing. But they don’t just hope for this resource – they build it from the ground up. Families occupy unused land, pressure the government for titles and building supplies, and get their hands dirty building drainage systems, electrical grids, streets, and their own affordable homes. This is not just a housing organization – they’re about people having a say over all aspects of their lives, including community assemblies, community security, food production and much more. Students live with families that are part of the Tlanezi Calli cooperative for a two weeks and visit landmarks, human rights defenders and activists around Mexico City. Chicago It’s not just in Mexico that groups are building autonomy. The Chicago re-entry program allows students to re-acclimate to being in the US by living with immigrant families who are part of the Centro Autónomo. You’ll learn about immigrant rights, anti-foreclosure work, popular education, gender workshops, and arts and culture organizing north of the border by getting involved in the day-to-day work of the Centro Autonomo community center. Read more about the Chicago re-entry program here. The Program is accredited by the Universidad Autonoma Metropolitana (UAM), one of Mexico’s most prestigious public universities located in Mexico City. The UAM issues formal transcripts and diplomas. For US institutions that don’t recognize the UAM (there are very few), Hampshire College is the US school of record and issues formal transcripts for an extra cost of $300. The program is also formally recognized by the State University of New York (SUNY) system, American University, DePauw University, Guilford College – and 95+ other institutions have accepted the credits in full. Independent study is open to students whose universities will not accept the credits listed in the core curriculum. Intensive language courses: The first 9 weeks students learn conversational Spanish with social movement actors using popular education techniques. Homestays: Spend 13 weeks living with Mexican families. 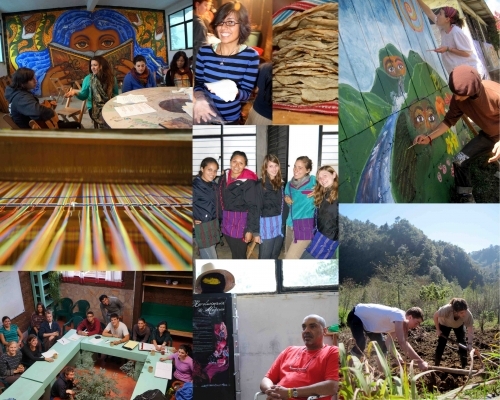 Encuentros, Mexican culture and workshops: Meetings with social movement actors, discussions in Spanish on Mexican culture and current events, and workshops conducted in Spanish are each programmed twice weekly throughout the semester. Re-entry program in Chicago: Live in a homestay with one of the Mexican, Ecuadorian or Guatemalan families that make up the Centro Autónomo, participate in English as a second language courses and practice your Spanish around the barrio.